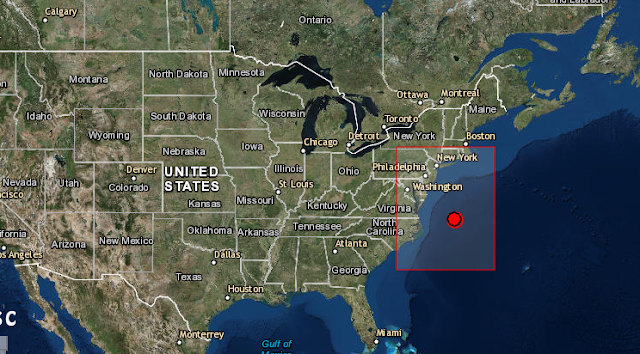 Earthquake Prediction: 4.7R off the East coast of USA. 4.7R off the East coast of USA. This 4.7R earthquake off the East Coast of the USA is surpriseearthquake to all, but we are the only people in the world who have posted and predicted this event. This is a credit to earthquakepredict.com powerful methods. 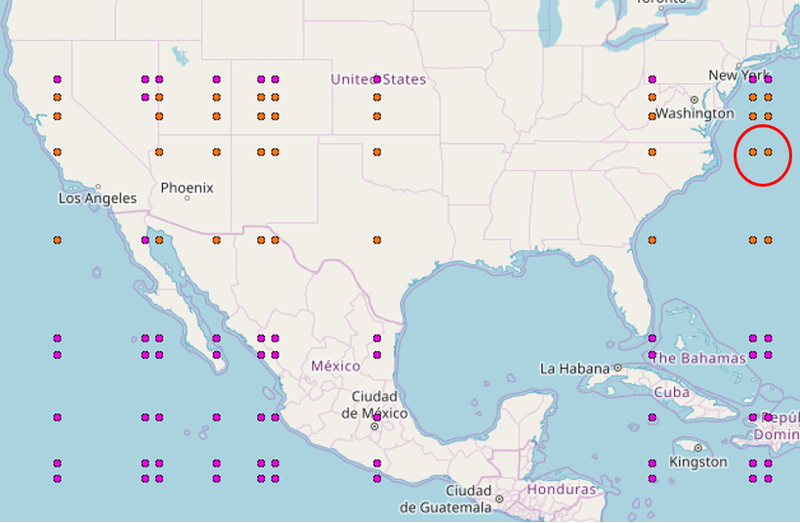 It is a previous post we have done in here showning this map above of the USA hotspots and one is the epicenter of 4.7R event shown encircled in the above map.